To be a successful presenter, you need to know how to introduce yourself before a presentation. Writing, designing, and rehearsing your presentation will not be sufficient if you forget to plan for a strong introduction. Your introduction before your presentation is one of the most important aspects of a presentation, and should not be left to chance. To help you brainstorm ideas for your introduction, here are 5 techniques worth considering. If possible, it is best to have someone else introduce you. When someone else introduces you, they can brag about your accomplishments, experiences, and skills without it coming across as egotistical or self-centered. In addition, if you are an outsider to the audience, and the person who introduces you is an insider, the insider’s positive review of your credibility might carry more weight than your review of yourself. If you want to have someone else introduce you, you need to plan ahead. You should reach out to the presentation coordinator or conference organizer in advance and request their assistance. Ask the organizer if they can introduce you, or if there is a more appropriate person to provide an introduction. Once you confirm that someone will be able to provide an introduction, you should assist with the development of the introduction. For example, you should provide the person making the introduction with a list of items worth mentioning in the introduction. Even though you will provide a list of items to note in the introduction, the introducer should still put their own personal spin on the introduction to ensure it sounds authentic. Since they will use their own words to describe you, you might request a preview of the introduction so you can check for inaccuracies or provide more information if the introduction feels too light to you. If you need to introduce yourself, be creative and deliver an unexpected introduction. For example, instead of just listing your professional credentials, use your introduction as an opportunity to be funny. Self-depreciating humor is effective when trying to persuade people, and also effective when trying to connect with an audience. In addition, self-depreciating humor is typically a safe type of humor because the odds of offending someone in the audience are slim. You are poking fun at yourself after all, not anyone else. Be careful though, you don’t want to damage your credibility or come across as unsure of yourself. So, here’s how this could work for you – imagine you are a successful CEO of a software company, and you are speaking to an audience of programmers. To connect with that audience through self-depreciating humor, consider showing a picture of your desk from your early years of programming, before you became CEO. If the picture shows a messy office, perhaps due to long hours in front of the computer – something that many programmers will understand – your humorous photo will help you connect to the audience, while also pointing to your programming skills. In addition, since you will use the photo to address your past, most people will naturally wonder how you went from that beginning to your current role as a CEO, so you can use that natural curiosity to segue to your current position and objectives. If self-depreciating humor is not a good fit for your introduction, then consider revealing a few fun or surprising things about yourself during your introduction, instead of simply rattling off highlights from your résumé. For example, try to mention some fun things that you might have in common with the audience, such as a shared love for the local sports team. Whether you choose to be funny, or simply warm and personable during your introduction, you need to be brief. The audience might want to know a few things about you, but they most likely did not come to hear your life story, they came to learn from you. If the conference or event provided bios of the speakers in a program, you might want to point the audience to your bio and let them know they can read about your credentials there. Explain that since the program covers the basics of your bio, you want to only share a few additional interesting facts about yourself before launching into the material. Use this moment to tell a relevant, personal story, or share some personal trivia tidbits that will endear the audience to you. However, don’t rehash your bio if the audience is holding it in their hands. If the audience doesn’t have access to your bio, you still need to be selective about which items you include in your introduction. For example, unless you’re speaking to a room of Ivy League graduates, most people won’t care that you went to Harvard. Your degree is impressive, however it is likely not interesting to the audience unless it is directly related to the presentation material. The audience is probably more interested in what you’re doing right now, and how that relates to what you’re about to tell them. Anything else is unnecessary. Rehearsing in front of other people is the best way to know what to keep and what to cut from your introduction. Try to practice in front of people who are similar to the people who will be in the audience. For example, practicing your introduction in front of your 30 year old male assistant might not be helpful if you’re presenting to a room of 50 year old female executives. What will be meaningful to the female executives will probably be different from what interests your young, male assistant. Once you have practiced in front of other people, revise your introduction according to their feedback. 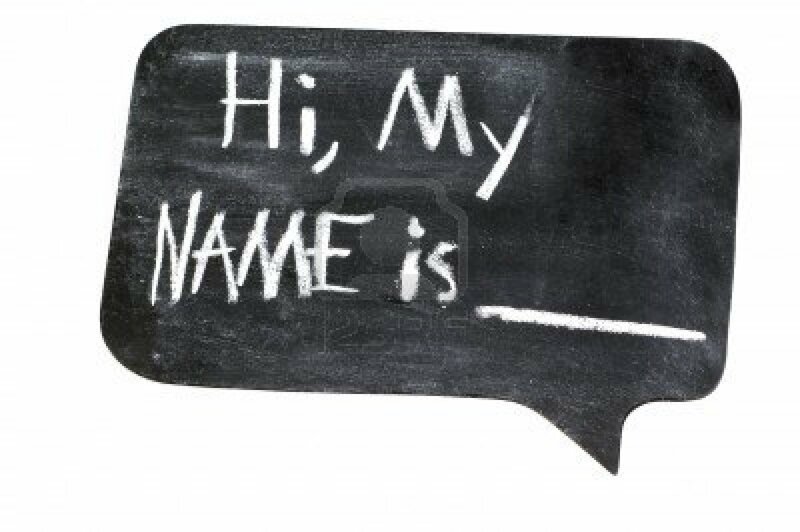 Consider turning the tables on the audience by asking the attendees to introduce themselves first. This technique is practical only for small groups. 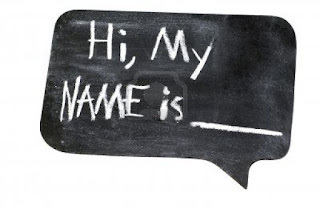 When trying this technique, ask people to say their name, and something else about themselves. Consider carefully what other items you want people to mention in their introduction because what the audience says in their introduction will impact what you say in your introduction. For example, if your presentation is a pitch for HR software, consider asking every attendee to say their name, their favorite movie, and their biggest HR software headache. The favorite movie is just for fun, but the HR software headache will be a perfect segue for your upcoming pitch. Once all of the attendees have introduced themselves, you can introduce yourself and then launch immediately into your presentation material. Asking attendees to introduce themselves is a great way to win some brownie points with the audience. People love talking about themselves, and tend to like other people who are good listeners. When you put the spotlight on the audience, you immediately become more likable and the presentation experience becomes more enjoyable. You can also skip a formal introduction. To do this, you might welcome the audience, and perhaps also let them know how long you plan to speak, and the topic of the presentation. After that, simply let the audience know you are going to get started and jump right into the presentation. Since you will still need to build a connection to the audience and also establish some credibility, you should still weave tidbits about yourself, your experience, and your skills into the presentation. For example, if your presentation is about marketing, and during the presentation you make a point about the potential positive impact of great content, consider showing how some of your best content performed, and what the overall results were for the company. The example will be helpful and interesting for the audience, and it will also serve to give more insight into who you are, what you do, and your level of success. The first few moments of a presentation are precious; don’t be lackadaisical about how you spend those first few minutes with your audience. Plan ahead and think through your introduction. And if you don’t know where to start, try some of the tips included above.